When Cane & Canoe restaurant opened in June 2014, it showcased a haute new Pacific cuisine under executive chef David Viviano, but it didn’t forget tradition. 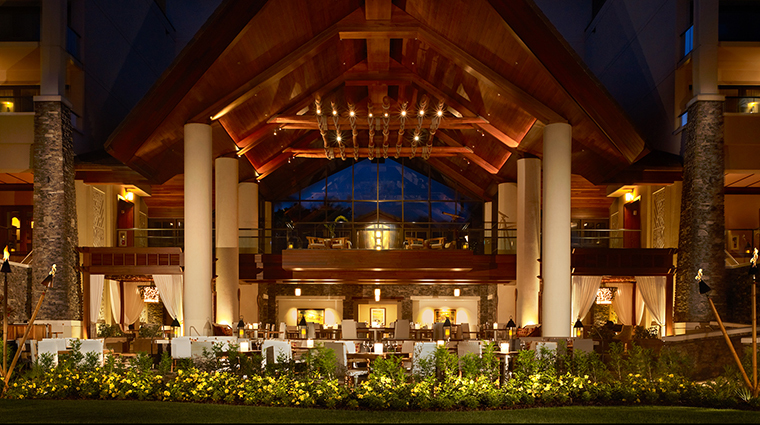 Montage took over management of the new 50-suite Kapalua resort and decided immediately to build its signature restaurant as an homage to the old Hawaiian meeting ground — the canoe hale, where locals would socialize, craft sails and baskets and whittle wood. Cane & Canoe's dining room embraces the exceptional Kapalua weather, with the roof so high up you don't feel boxed in, yet the light drizzles typical of the area are caught overhead, making dining outside a pleasure no matter what the clouds hold. The dining room is refined despite being alfresco. You’ll find heavy dark wood tables, new-school rattan, cushioned couches with white curtained tables for privacy and soft lighting at night. Whether you are visiting at sun up for breakfast or coming in for a dazzling dinner, Cane & Canoe is casual yet sophisticated. 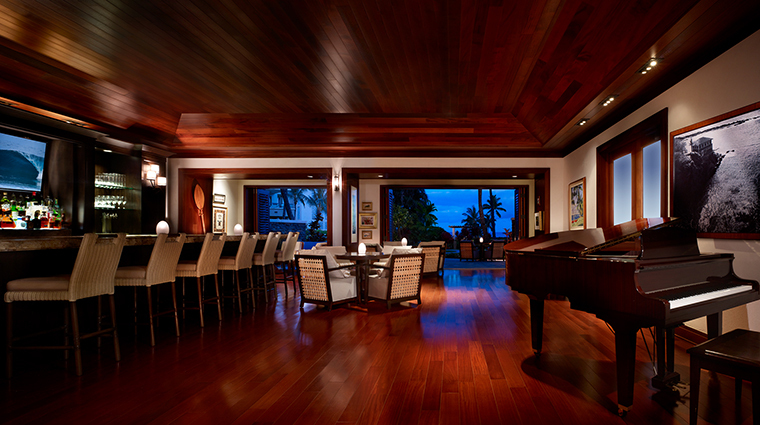 The Maui fine-dining restaurant serves breakfast seven days a week with a Sunday brunch (complete with bloody Mary bar and live jazz music) from 10 a.m. until noon. Dinner service is a lively affair with nightly live entertainment beginning at 6 p.m.
A resort casual dress code ensures that you can dine on lobster mac and cheese in comfort. Start breakfast with fresh Molokai papaya, steel-cut oats or buttermilk malasadas (Portuguese doughnuts). Then move onto griddled purple sweet potato pancakes with banana, Portuguese sweet bread French toast, buttermilk pancakes or waffles if you have a sweet tooth. For dinner, the Kula Country Farms strawberry panzanella with burrata, crispy basil, braised walnuts and pickled fennel is a pleasure. The grilled octopus with duck chorizo appetizer is another. The must-try dish is the calamari chow fun, where the calamari is sliced into thick flat pieces and passed off as fun noodle. Scallops with XO sauce, balsamic-glazed ono and crudo, or the spectacular seared ahi in tempura crust with foie gras nage dipping sauce honor the ocean's bounty. Dishes like the Maui coffee-crusted beef tenderloin with bourbonized Maui onion, and herbed lamb on cauliflower couscous and Japanese eggplant take the classic cuts to a new station. Off to the south side of the Maui restaurant, there’s a piano bar where you can sip handcrafted tropical cocktails like the popular Kapalua Butterfly (dark rum, orange, pineapple, coconut and more fresh citrus) before dinner. The bar also offers a lounge menu with snacks during the day like cheeseburgers; grilled naan with hummus, banana-mint chutney and cheese curd spread; and spring rolls with pulled pork and guava barbecue sauce. You can order off the dinner menu at the bar starting at 5 p.m.